Venue: Thatched Cottage, Craft Village, Magazine Street, Derry. This DIY workshop will provide hands on experience with building your very own modular synthesis oscillator module, which you can take home at the end. 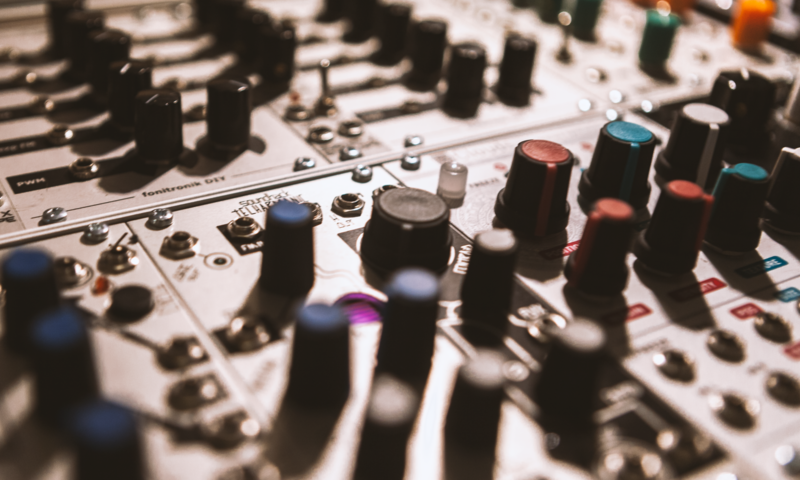 The session will be led by John Harding Music/Creative Technologist, Lecturer at Ulster University and Electronic Engineer, with some fifteen years experience in Audio Electronics. Participants will be guided through the process of building their very own ‘Wavefolder‘ module entitled Origami, which has been specifically designed for this conference. No past experience is necessary, as full training, equipment and parts will be provided. A Wavefolder is a mysterious and endlessly useful synth module, traditionally employed in the west coast synthesisers of Donald Buchla and Serge Tcherepnin. These devices are capable of producing complex spectra from very simple input waveforms. This skiff friendly (shallow depth) module will be taken away by each participant and will fit within any Eurorack Modular Synthesis setup. The circuit design is heavily inspired by the 1970’s designs of Donald Buchla, although re-imagined for the increasingly popular Eurorack Standard using cutting edge production techniques and modern components. This circuit design is largely based on the Timbre generator, variations of which are found in both the 1973 Buchla Music Easel and Buchla 259 complex oscillator.